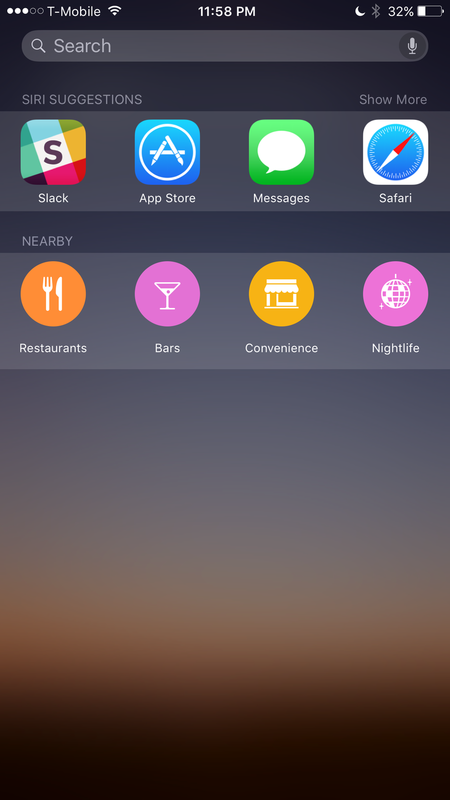 Simplicity has always been the lynchpin to the wonderful user experience in iOS. 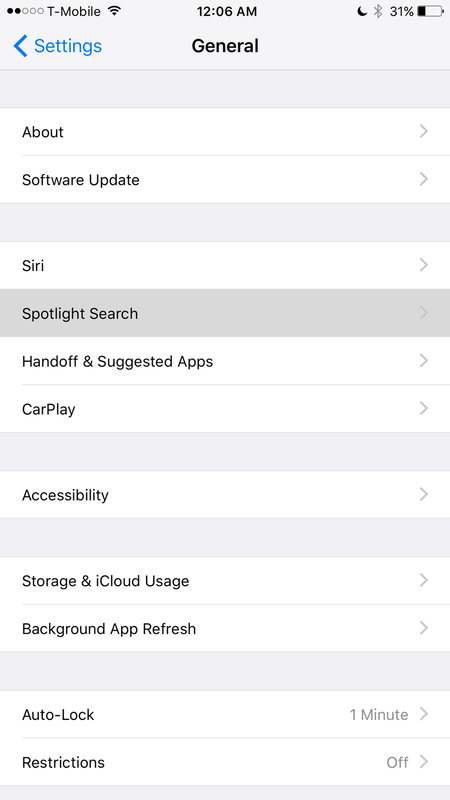 As is expected with any major OS update, iOS9 brought a new feature: Siri Suggestions. Since this feature only served to distract me, I wanted to disable it. This short guide will tell you how to do this quickly and easily. 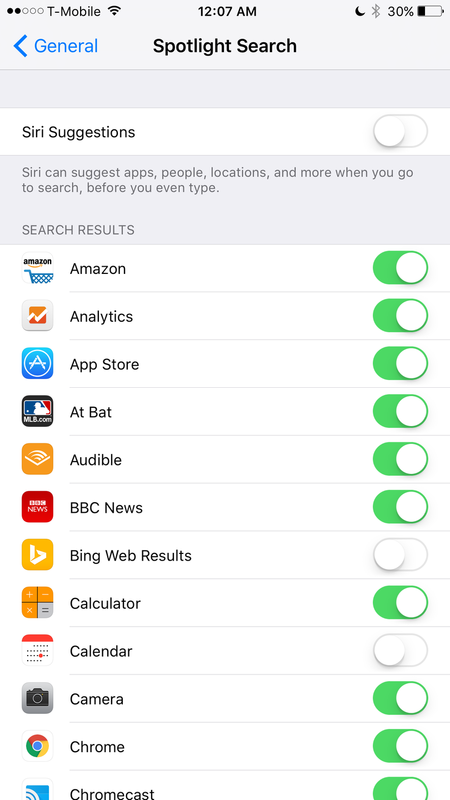 Toggle Siri Suggestions to Off. Bask in the simplicity and do what you intended to do -- without distraction.